Switch to Solar with Ease! Prices are low, save some money! Purchase, leasing, PPA–learn all your options for funding your solar project. PURE Walgreens – focuses on helping communities get, stay and live well through innovative leadership in corporate sustainability. Walgreens programs focus on making Walgreens a leader in resource conservation, carbon emissions reduction and waste diversion. 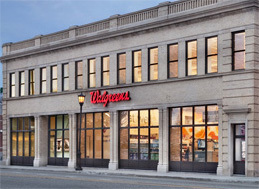 Walgreens has partnered with EnergySage to advance its sustainability efforts. 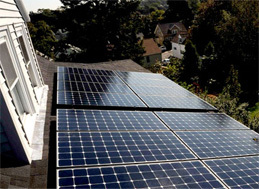 Sun power translates to sun savings with the use of solar panel installations. The process to go solar is simple with EnergySage Marketplace. 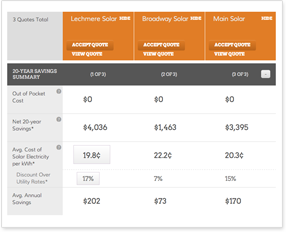 With a few clicks, our solar Marketplace will get you multiple quotes from high-quality installers in an easy to compare format — to ensure you get the best deal possible. All at no cost to you! Solar panels offer a solution to rising energy costs by using clean, sustainable energy from the sun. On average, rooftop solar power systems provide 15 to 20 percent of the power at specially-equipped Walgreens stores. The company started taking on solar panel projects in 2007, and is now on track to have more than 156 active solar installations across the country in California, Oregon, Ohio, New Jersey and Connecticut. 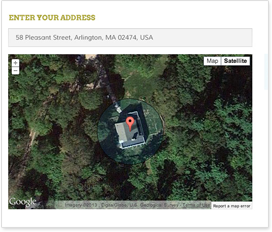 J. LaRusso installed solar panels on his house in Roslindale, MA, in November 2011.